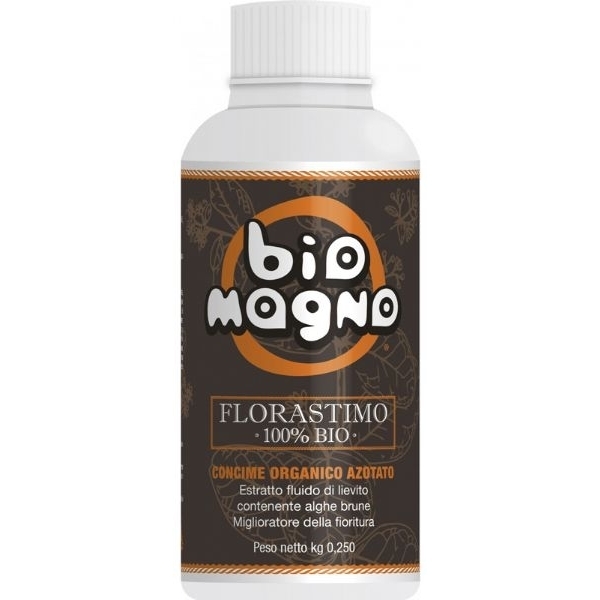 BioMagno Florastimo 100% Organic 1L is an organic and liquid bloom enhancer of completely natural origin, containing extracts of seaweed and yeasts of the Ascophyllum nodosum species. Thanks to the presence of elicitors it improves the resistance of plants to diseases caused by imbalances or stress and disease. It Increases the texture, color, fragrance of the fruit and has a positive effect on the sugar content and it also improves the ability of preserving treated crops. Biomagno also increases the flower development, fruiting, production and quality in all crops, by increasing the trophic activity of the organism and optimizing their metabolism.